Walt’s practice has focused for more than fifteen years on estate planning, trust administration, probate, conservatorships, and guardianships, as well as mediation of litigation involving those matters. He has been a board member of the South Bay Bar Association since 2011 and served as President in 2018. He is an active member of the Court Appointed Counsel panel for the Los Angeles Superior Court, where he is appointed to represent proposed conservatees during the appointment process and serves as a Guardian Ad Litem for minors and disabled persons in lawsuits and trust matters. As a private mediator, Walt’s background and skills make him an effective facilitator and sounding board in helping to resolve a variety of trust, probate, and business disputes. He regularly serves as a volunteer Settlement Officer for the Los Angeles Superior Court probate department, and is a member of the Oversite Committee for the panel. He received his formal training as a mediator through the Pepperdine Law School, and previously served for over five years as a mediator on the LASC Alternate Resolution Panel mediating a variety of lawsuits, and participated as a member of the Southern California Mediation Association. During a 25-year career in industry, Walt worked as a corporate lawyer, negotiated and managed major contracts and subcontracts, and held several senior management positions in the aerospace and telecommunications industries. His management roles include serving as Vice President of Operations for Hughes Global Services and President/CEO of the non-profit Galaxy Institute for Education before returning to practice law. 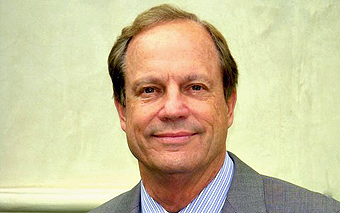 Walt has been a member of the State Bar of California since 1978. He earned his JD degree from Loyola University Law School, after receiving MBA and BS degrees from the University of Southern California.